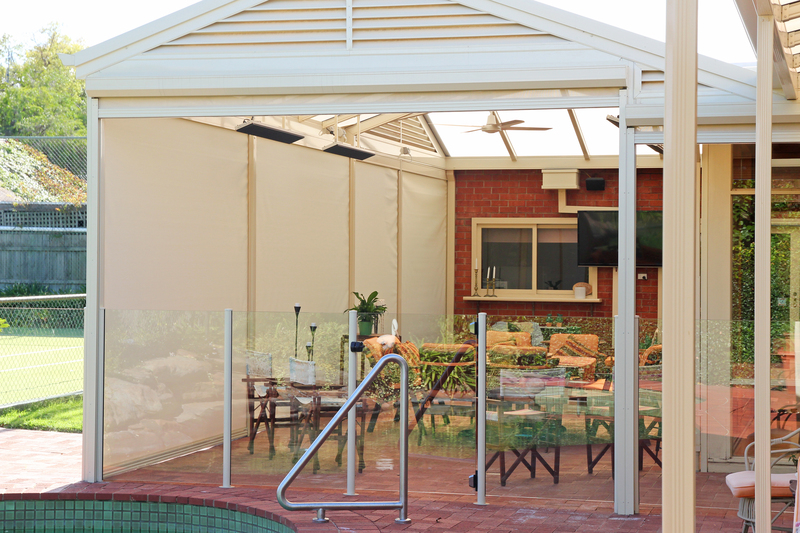 We manufacture and install our own Outdoor Blind System called Slidetrack© Blinds. 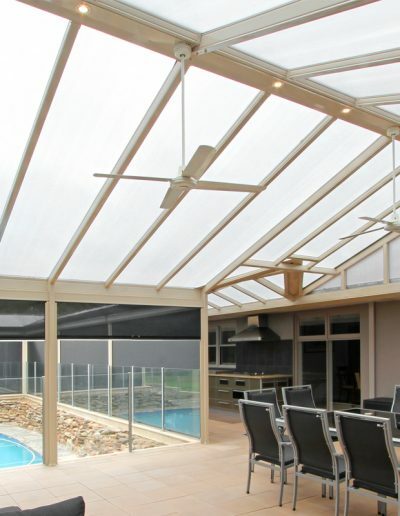 Slidetrack© Sun Screens provide effective shading and screening solutions for commercial and residential applications. 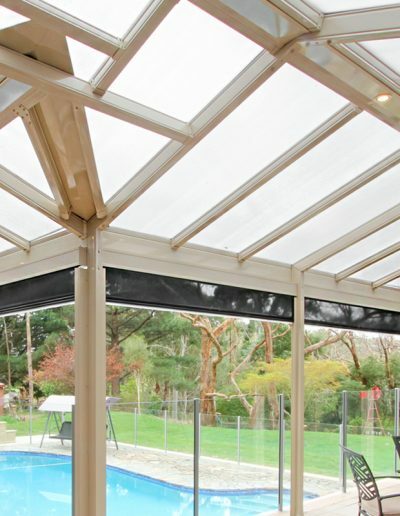 Slidetrack© Cafe Blinds are designed to be unobtrusive and present clean functional lines. 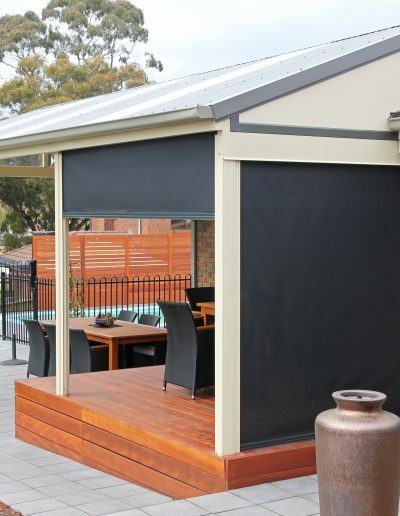 With our wide colour range, our shades will complement the appearance of your property and make weatherproof outdoor living areas. The HVG fabric has a 10 year warranty. The fabric is held in tracks on both sides. This prevents excessive fabric movement and noisy flapping, and provides a seal on both sides. 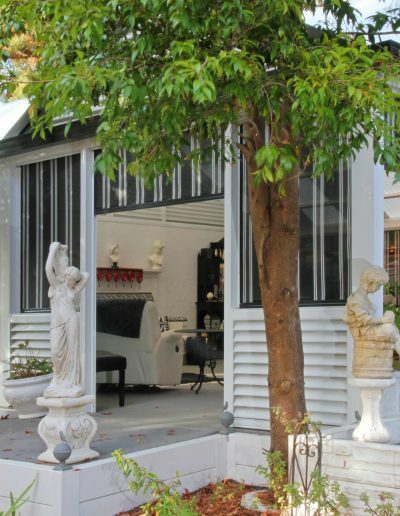 As the fabric does not need to be tightly stretched, the longevity of the product is improved. 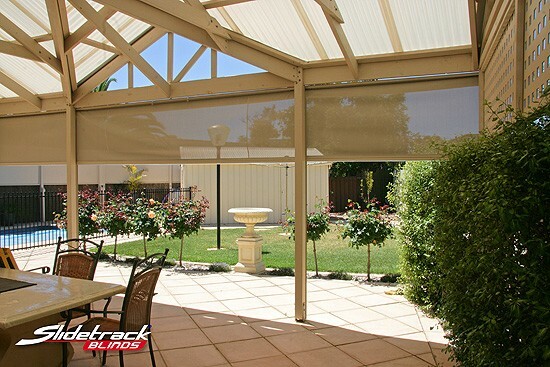 The centrally-located locking mechanism makes Slidetrack® Blinds easy to use. 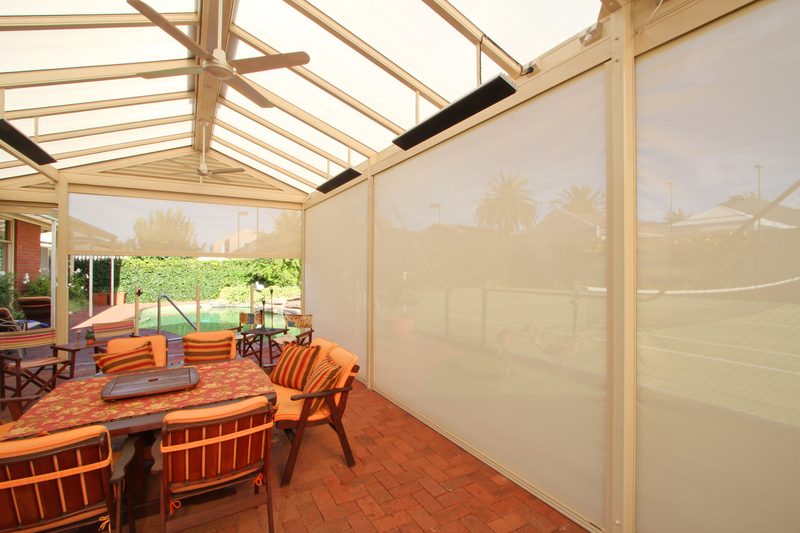 Customers can raise, lower and lock blinds into position one-handed and without needing to move around the blind. 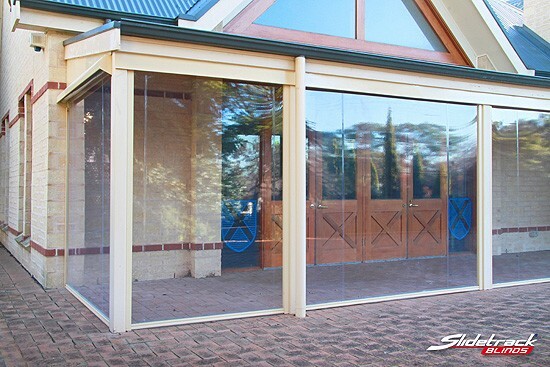 Intermediate locking positions can be easily provided, so that blinds may be set at an ideal shading height. 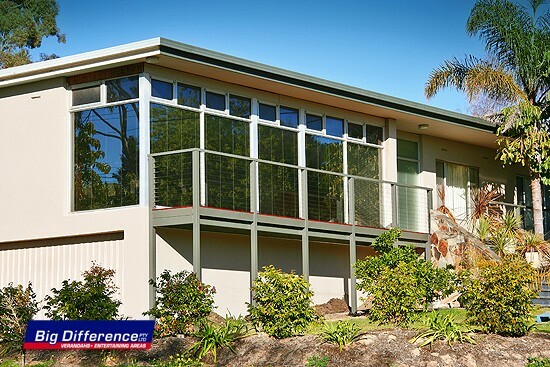 Customers with multiple blinds can select an intermediate position which allows their blinds to line up neatly. The installer simply drills new locking holes on site to the customer’s requirement. 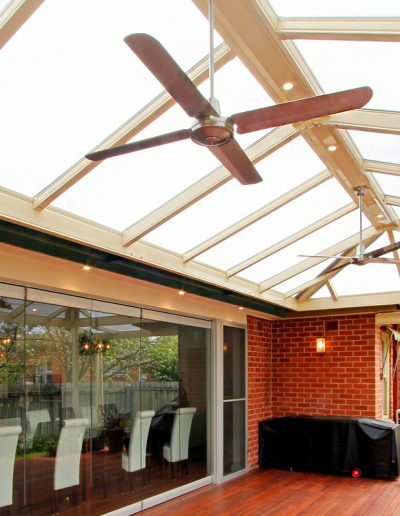 The bottom bar is made from aluminium and internal components are stainless steel. 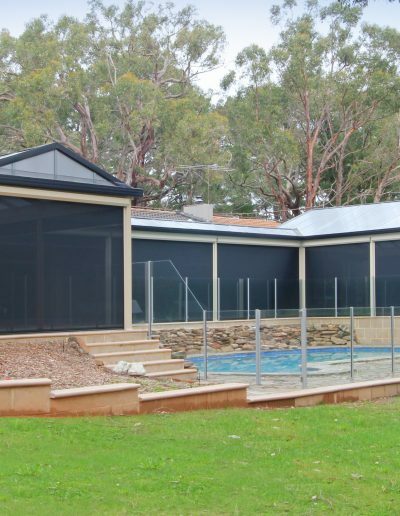 Since the top tube is also aluminium, Slidetrack®Blinds are ideal for coastal environments when used with stainless steel brackets. A vee-seal or round seal at the base of the bottom bar is provided as standard to prevent marking customers’ floor surfaces; this can be removed, or replaced with a valance on site if required. Vee-seals and skirts can be slid in and out without the need to weld or stitch. 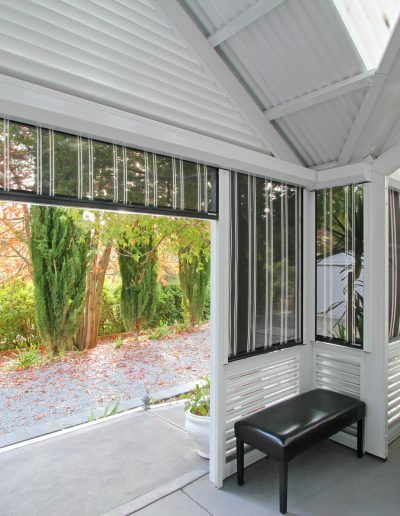 The blinds are designed to be unobtrusive and present clean, functional lines. The edge spline is largely concealed, avoiding introduction of another colour. The bottom bar is held within full length channels on both sides, resulting in a very strong design. Any wear marks which occur over time are hidden. Adjustment for out-of-square is provided by adjusting the tracks on the mounting channels during installation. An optional deep channel is available to assist in awkward mounting applications, such as post saddles or walls with exposed copper pipes, or excessive out-of-square. Locks can be offset to one side and separate locks can be fitted to both sides of the blind if required. 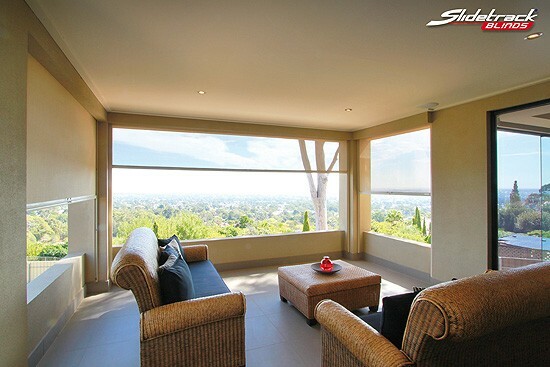 Slidetrack® Blinds can be face fixed when fitted to a balcony or garden where outside access is not available. Decorative rings or post feet can be accommodated in most situations as only a 35mm slot is required for the sidetrack because the lock is internal. 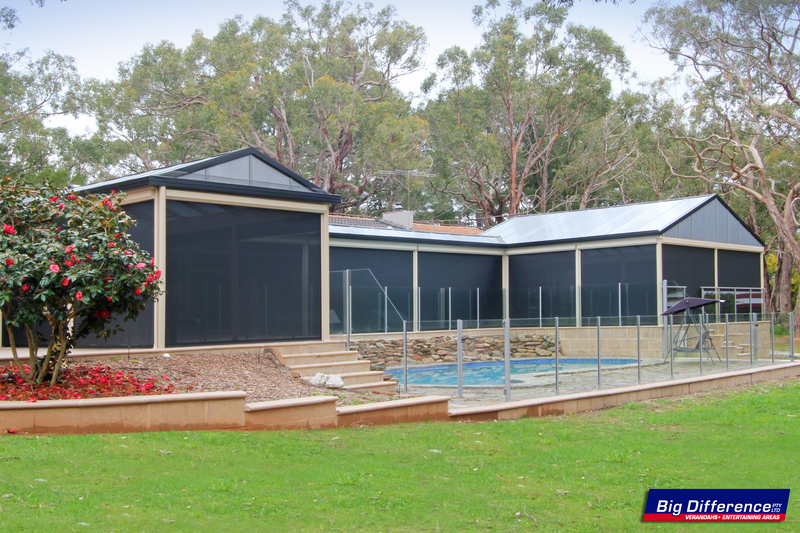 Slidetrack blinds operate well with drops up to THREE metres and spans up to SIX metres. 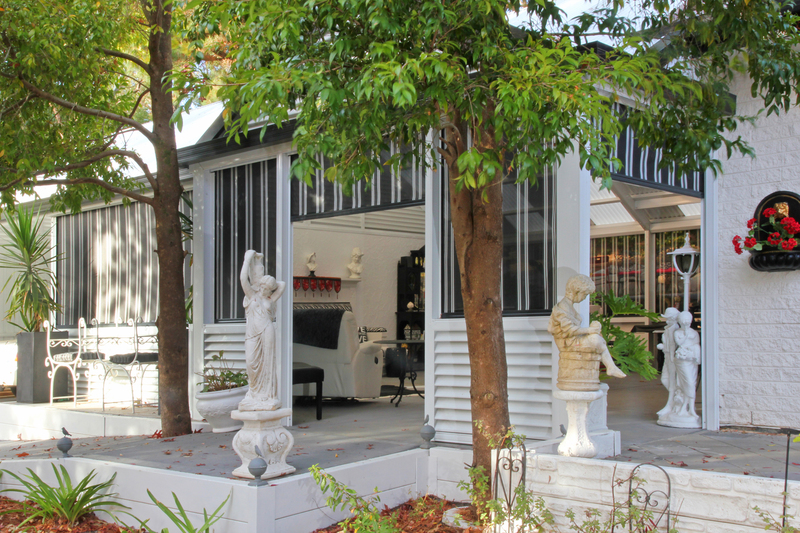 For greater widths, please refer to our head office before quoting. 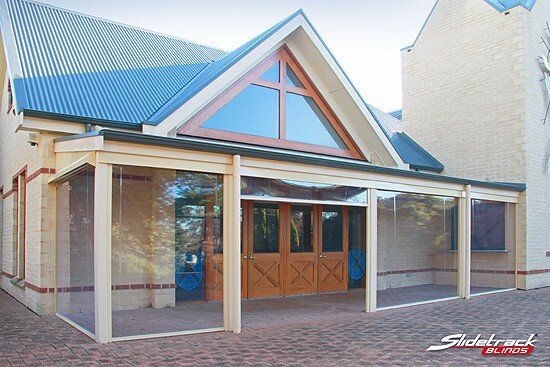 When quoting, customers should be made aware that blinds of this type will exhibit some central fabric looseness when in a partly open position. This is due to the fabric rolling tightly on the splines on both sides of the top tube, but laying loosely in the centre. 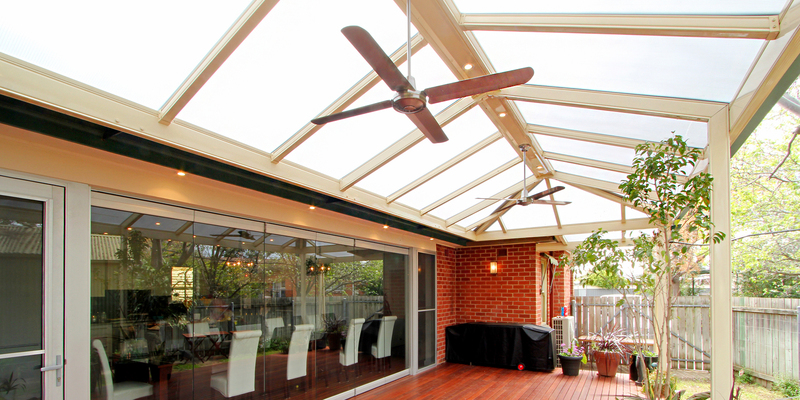 This effect is exacerbated with wider blinds, and may give the appearance that the top tube is bowing. 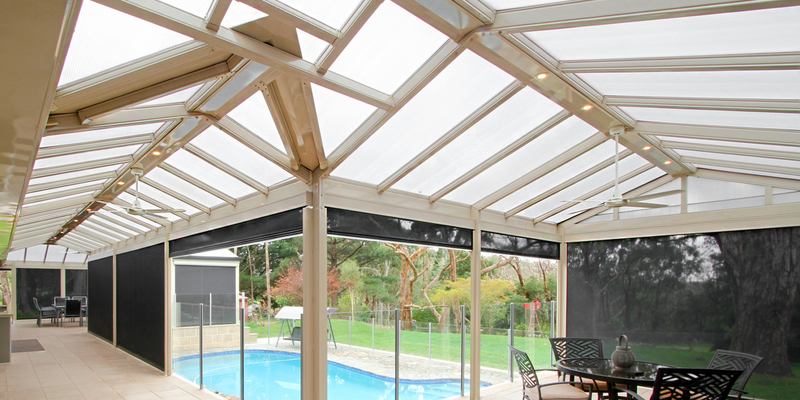 Slidetrack® SunScreens provide effective shading and screening solutions for commercial and residential applications. 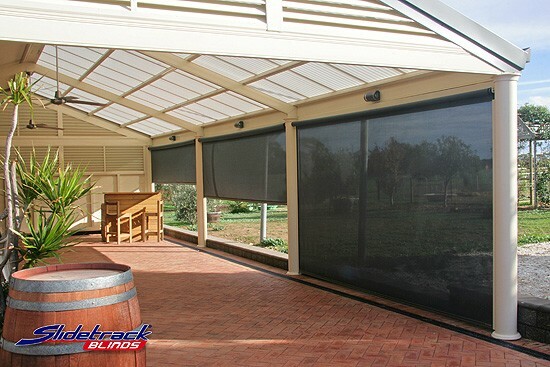 One-handed operation with a central locking position means Slidetrack® Blinds are a breeze to use. No ropes, pulleys, zippers or straps. 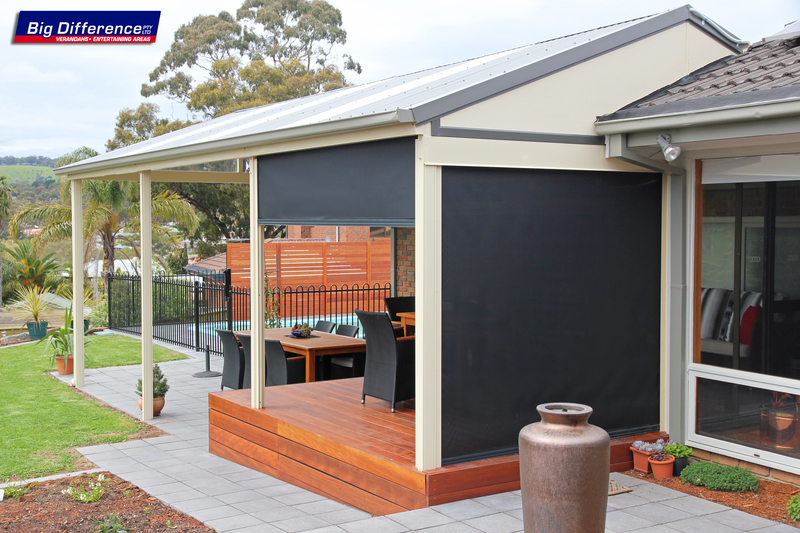 The fabric is held in tracks on both sides and a sealing strip or valance at the bottom helps keep insects out. Intermediate locking positions are easily provided. 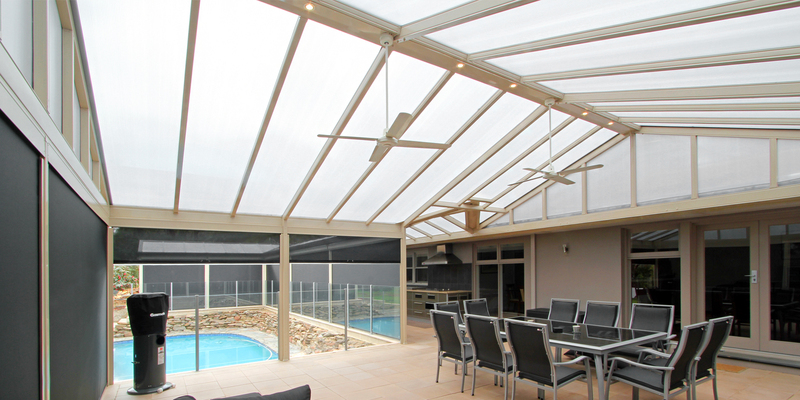 The bottom bar is firmly located within the side tracks resulting in a strong design without wear marks. Exposed parts are made from stainless steel and aluminium. 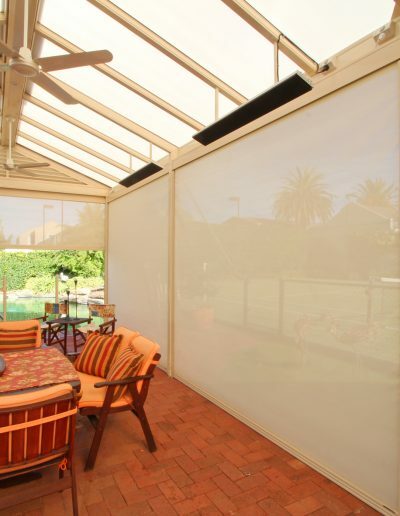 And with the screening fabric held securely in the side tracks, there is no need to keep the sheet tightly stretched. 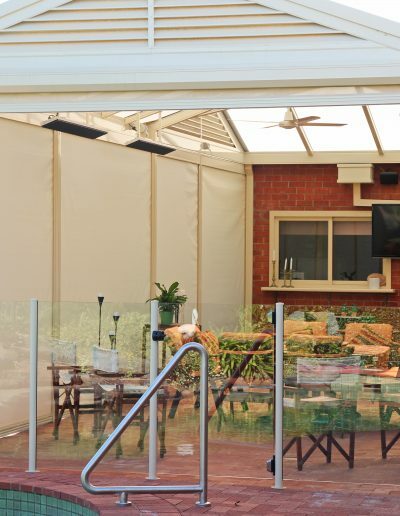 Made with clear or tinted PVC, Slidetrack® Café Blinds are ideal for creating a cosy environment while maintaining an open feel. 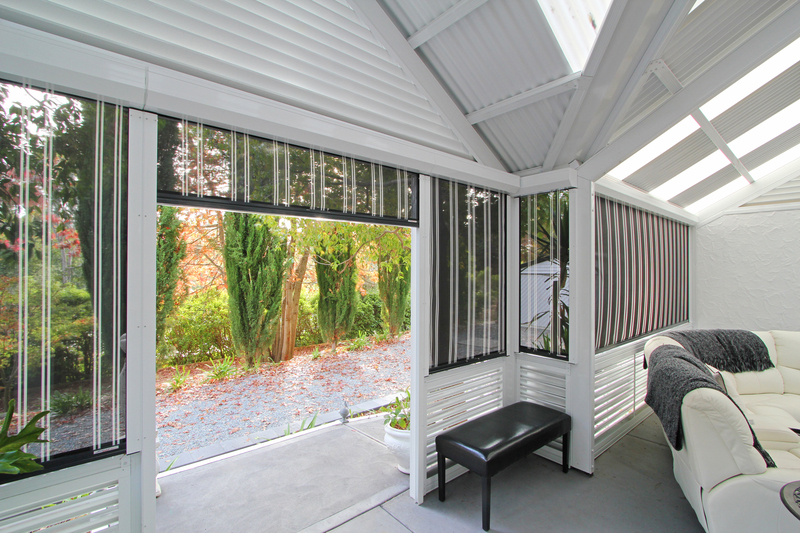 Slidetrack® Blinds can be fitted with a hand crank or motorised if required. Contact us to find out more.